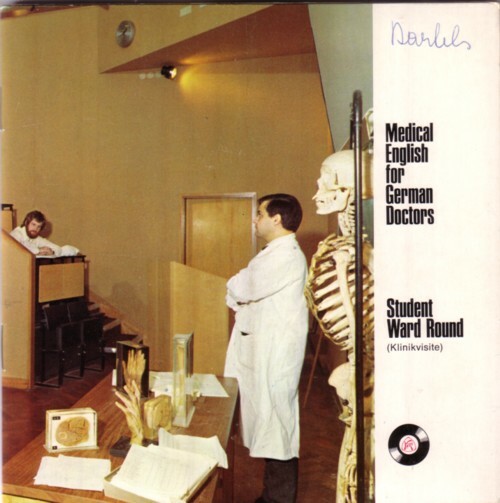 It are records made by a German pharmaceutical factory, Knoll, for medical students, and meant to learn them the English words for medical terms. The writers of the hear plays (!!!) 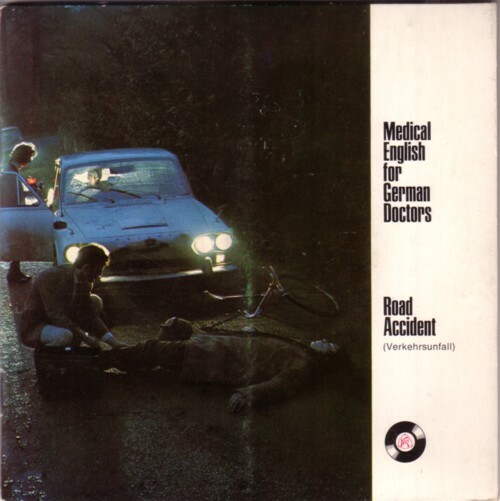 that can be heard on these records managed to fumble many of these words in a coherent story. You won’t hear me say that these are the best hear plays that I heard in my entire life, but I have heard worse ones on records that I paid far more money for. 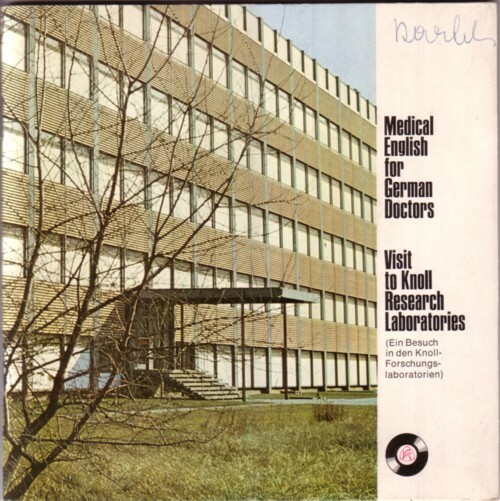 By the way, Knoll has a rather nice, clumsy hand lettered logo, in a style that reminds me of my own logo’s. I collect such logo’s too, and if I have enough, I will publish them.